Cook the beans in a pan of lightly salted boiling water for 3-5 minutes, then drain, reserving 150ml of the cooking water, and leave to cool. 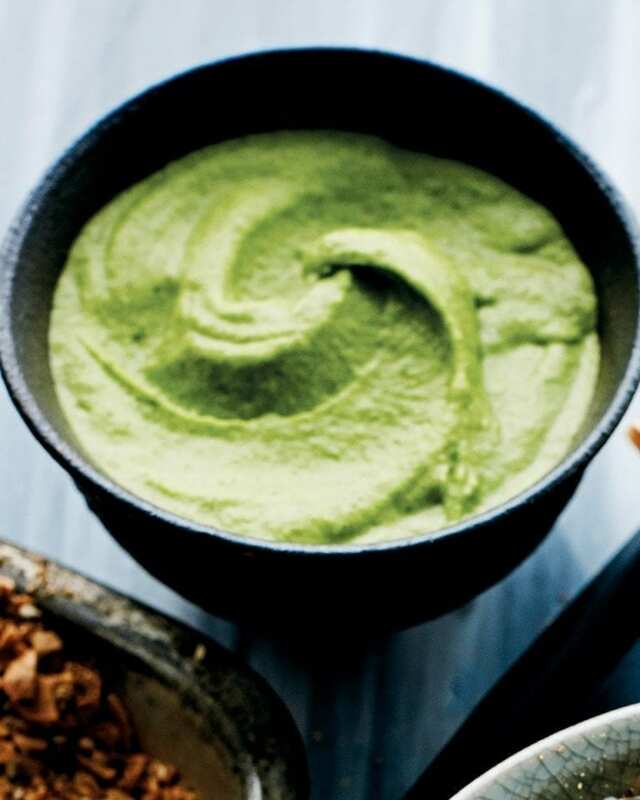 Peel the broad beans, then whizz in a food processor with the remaining ingredients until smooth, adding a little cooking water to loosen as needed. Season to taste and serve. The dip will keep in an airtight container in the fridge for 3 days.